Corinthian kotyle. Horizontal loop handle set just below rim on convex wall. Fine, moderately hard clay, with some tiny voids and inclusions. Traces of black glaze on handle and interior. 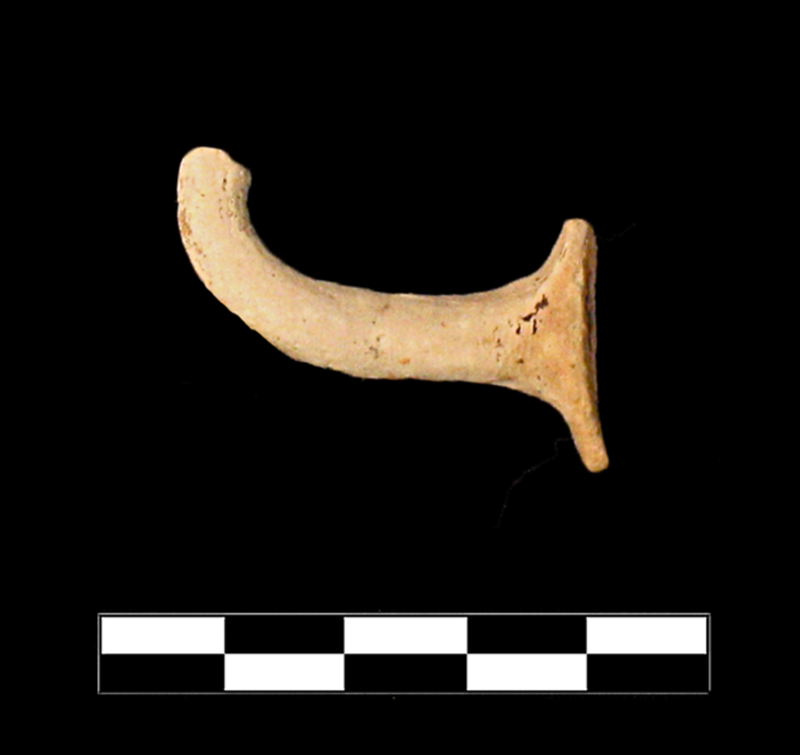 One small fragment preserves small part of rim and roughly one half of one handle. Slight, sparse gouging and moderate patches of encrustation.